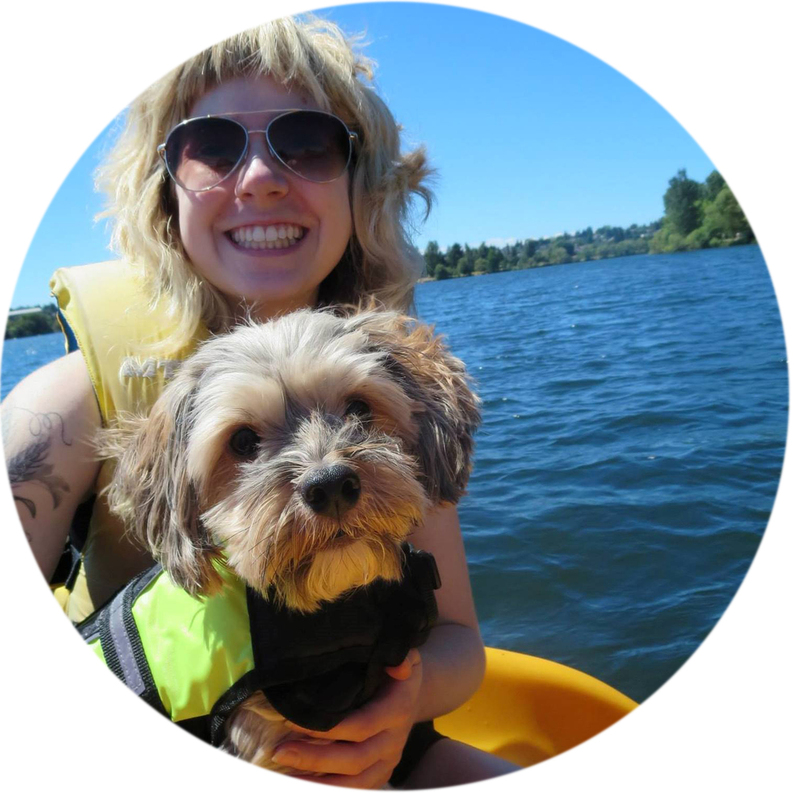 Me and my dog, Merlin, paddle boating at Greenlake, Seattle. I live with my frenemies depression and anxiety in Portland, Oregon; as well as my dog, Merlin, who tries to ward them off. Sometimes I'll write about them. Sometimes I'll write about other things that are important to me. We'll see how it goes. I'm here to be honest and vulnerable and sometimes (please, god, please) funny. So, haters to the left. If you like what I write, please leave nice comments, or follow me on the various useless social networks I subscribe to. Sign up with your email address to get new blog posts delivered straight to your inbox. I respect your privacy and would never share your email with a third party or spam you. We'll keep this just between us. Hey, thanks! You're on your way to getting fresh-baked blog posts delivered to your inbox. Neat! Hey, look! There's a bunch of social network button thingies down there. If you want to connect with me, give them a tap or click and see what happens.